Tsukiji Honganji temple is a branch of Nishi Honganji temple of Kyoto and the head temple of Jodo Shinshu Hinganji-ha sect in Kanto district. 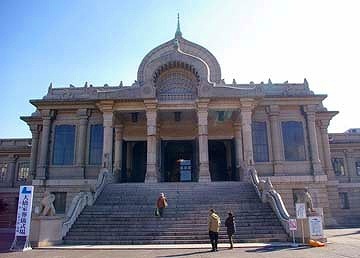 The temple was founded in 1617 near Asakusa but burned down in 1657 by the great fire of Meireki. Because new land given by Tokugawa government to rebuild was underwater, many fishermen of Tsukudajima and faithful followers reclaimed the land from the sea. 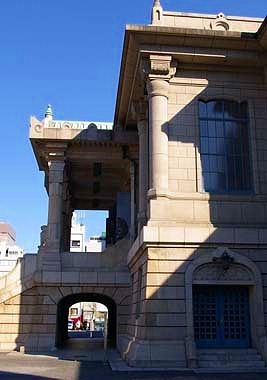 The new temple was called Tsukiji Gobo. 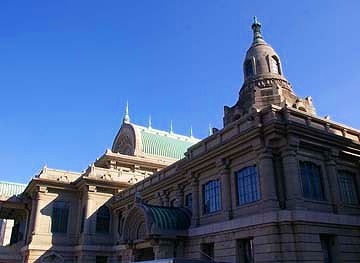 (Tsukiji means reclaimed land) It was again burned down by the great earthquake in 1923. 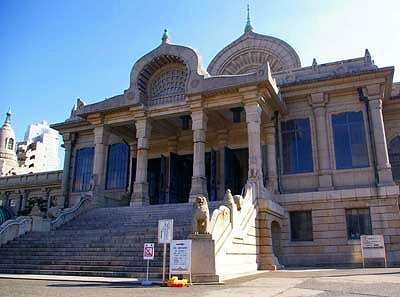 The current building was designed by Chuta Ito, a professor architect of Tokyo University in an ancient Indian style which gave a unique impression as a Buddhist temple in Japan.